Posted on January 27, 2017 by Ching under Things to Do. 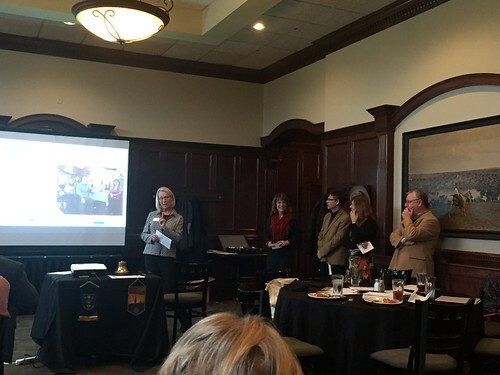 Due to my current work assignment, I’ve missed my Rotary Club meetings over the last few months. This month hasn’t been too bad, however. I was actually fortunate enough to be able to attend two consecutive club meetings. And I’m so glad that I was present for them because they were both amazing meetings. Last week Geri Appel, Dr. Fred Heismeyer, Joyce Heismeyer, Greg Sullivan, and DeAnn Sullivan talked about their visit to Russia last summer as part of the Open World Program. In Fall 2015, local Rotarians had the opportunity to host seven Russian business people through the Open World Program. In summer 2016, it was their turn to visit. 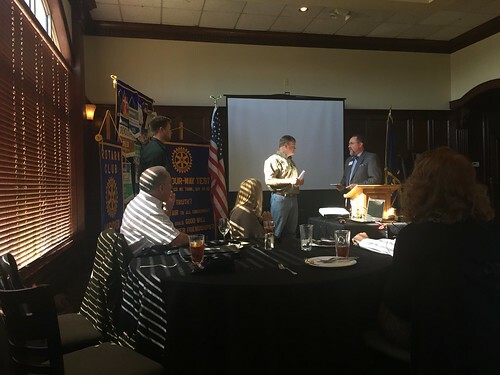 The group has been visiting local Rotary Clubs to share their FABLES (tales from their trip) and promote the Open World Program. FABLES stands for Food Adventure Beauty Lore Entertainment and Surprise and is kind of a fun way to recall one’s travel adventures. I thought it was pretty clever anyway and will probably talk about my own trips in the same manner in the future. I was completely enthralled as they talked about the food (and drinks) they tasted, the place they visited and all of the beautiful architecture they saw, interesting things they learned and did, and shared stories from the trip. Their Open World experience has been so overwhelmingly positive that I would actually consider being one of the hosts for the next delegation of Open World visitors to Wichita. 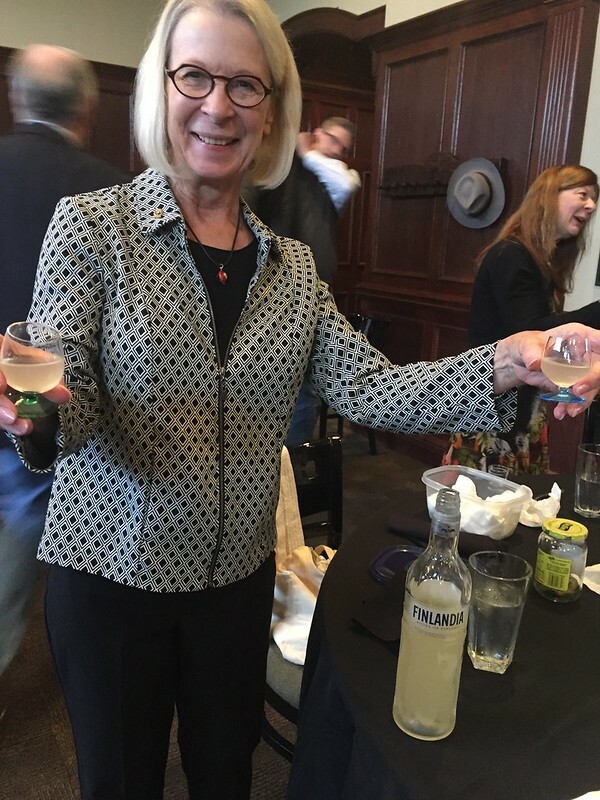 Geri even brought samples of her homemade horseradish vodka, which they first tasted during their visit. She’s learned how to make it and has never run out. For the record, I did not try the vodka because I went back to work after the meeting. I wasn’t concerned about missing out because I’m sure there will be another opportunity to try it. Yesterday our speaker was Barry Style, all the way from Zimbabwe. Barry Style serves as Director of the Chiredzi River African Wildlife Trust (CRAWT) and his family also operates the Buffalo Range Safari. CRAWT not only helps through their anti-poaching and preservation efforts but they also support the community. One of the projects that they have undertaken is a school, which did not have running water until recent upgrades were made with financial help from the Andover Rotary Club. This project has not only made a positive impact on the lives of the students, but the community as a whole. 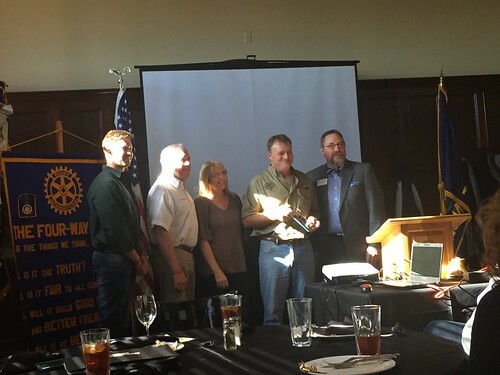 The efforts on behalf of the Andover Rotary Club have been spearheaded by Dr. Ron Kutter and Lori Kutter, who have traveled there on a number of occasions to help. Let me know if you want to learn more and I’ll be happy to put you in touch with Ron and Lori. They are picture below next to Barry Styles. I am so grateful that my work schedule over the last two weeks allowed me the opportunity to attend both meetings. I’m hoping that, once the dust settles, my schedule will return to normal and I’ll be able to start attending Rotary Club meetings regularly again. Connecting with my fellow Rotarians and listening to our wonderful speakers always rejuvenates me.